Scam Broker Investigator is the largest and most trusted broker reviews website, established in 2013. On our website, you will find over 600 honest reviews of Stock Brokers, Forex Brokers and CFD Brokers. This way you will know, if the brokers are licensed and regulated by a governments financial regulator. Many online investment brokers are not licensed, and are actually outright scams. Only invest with a broker, whose license you have verified! 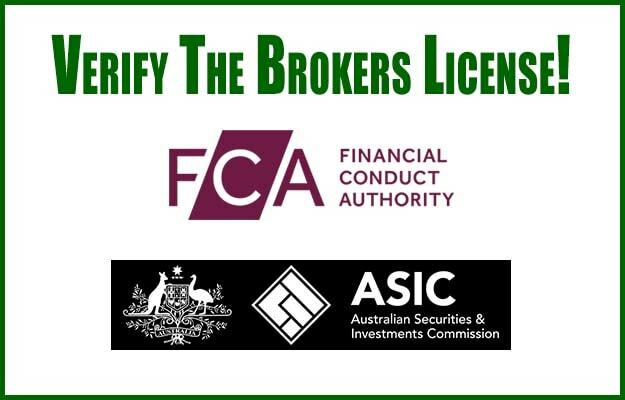 A good broker is licensed and regulated by either; ASIC Australia, FCA United Kingdom or FSB South Africa. Brokers can also be licensed by; CFTC or FINRA in the United States, IIROC Canada, AFM Netherlands, CONSOB Italy, BaFin Germany, Finanstilsynet Denmark, CNMV Spain, CNB in the European Union, CySEC Cyprus, and the list goes on and on. View the complete list of all Government Financial Regulators. If your broker is not licensed by your local financial regulatory agency, then they are a scam! Read our list of best brokers, and choose a legitimate licensed broker. The fact is; most new investors will end up losing their money trading CFD’s. Investing or trading in Forex, Crypto, Commodities, Metals and Options is a very risky proposition. You need to really know what you are doing, in order to actually make money. Newbie investors usually hear about an online broker, via a fake news article promoting a breakthrough automated trading software. The trading systems go by the names of; Bitcoin Loophole, 1K Daily Profits, Tesler App and many more. We have seen fake articles using the names; Dragons Den, Shark Tank, Bill Gates, Marc Cuban and Elon Musk to name a few. All of those fake investment software, connect you with an unlicensed, offshore, fake Forex broker. Once you send money to these scam artists, it is a long battle to try and recover your money, read more. There are a few types of scams that Forex brokers do. The most popular scam that online brokers use, is centered around managed accounts. Offshore / Non Regulated Forex brokers will pitch investors to join a managed account handled by one of their senior analysts, and promise high monthly returns. No Legitimate Broker Will Manage Your Trading Account & Promise Fixed Returns! A common scam is with brokers that don’t allow you to withdraw your money. 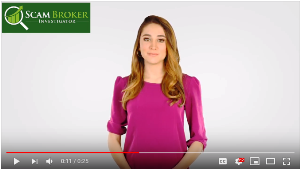 There a few reasons why a broker can hold up an investors cash, with the main reason coming from the trader having accepted bonus money, or not reading the terms and conditions. Another popular scam is unauthorized credit card charges. A scam broker will swipe the investors credit card, to add more money to their trading account, because the broker gets paid based on new deposits. The best precaution a trader can take is to use a credit card, not a debit card, that has the ability to dispute charges in the event of fraud. Investors that authorize direct debit withdrawals from their bank account are playing a very risky game. You can read more about this on the complaints page. If you have a question about a Forex, Bitcoin, Stock or CFD Options broker, we encourage you to first read the broker reviews. Also search in the Investors Forum to see if your question was already asked. You can easily trade with a trusted licensed broker, so there is no reason to use a scam broker.